An original R1 razor with a refreshing automotive silver finish. Bolin Webb takes a great shave and gives it style. So enjoy a superior wet shave with this award-winning razor. 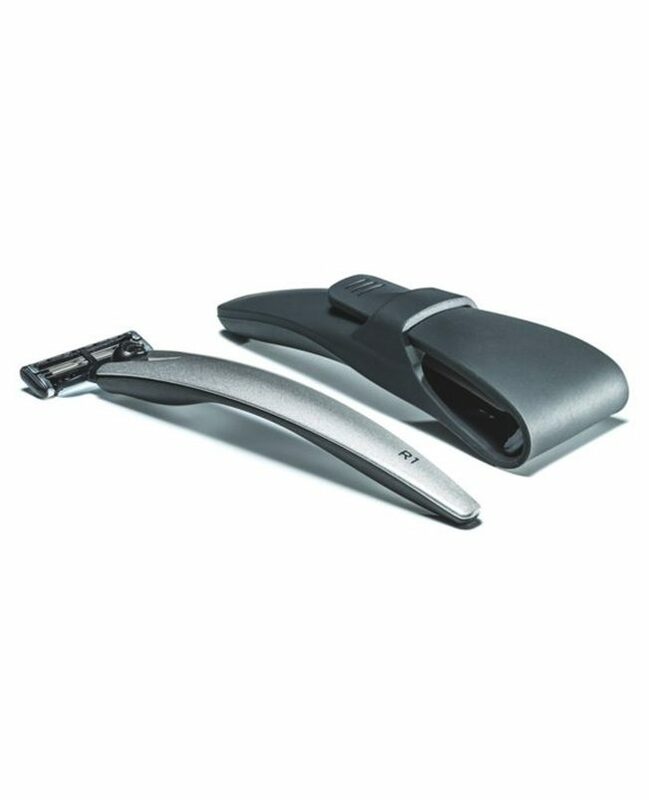 Presented here in a luxury gift set with its smart travel companion – the uniquely compatible and award winning silicone razor case.